By Darren Talbot, Managing Director of Darren Talbot Cricket Coaching Consultancy. Are you one a coach who's not able to make the most of the young players in your setup through no fault of your own? If I could show you a way to create high-class players even under the pressures of everyday coaching, would you be willing to put it into action? As an experienced coach, I know how frustrating it can be. You have to do a lot with very little time and resources. You get a just handful of sessions with players of often wide ranging abilities. Young players typically get less than 20 hours of coaching a year. As you know, there is no guarantee that a healthy academy or club will produce good cricketers just by turning up every week. Unless you make the most of every single minute with your players you will be relying on more luck than coaching skill. I once consulted with an academy with exactly that problem. James, the head coach, was experienced and knowledgeable and could work wonders despite working on a voluntary basis. However he couldn’t coach every side and had to rely on others to look after some teams. They were the passionate lifeline. They worked hard to keep several teams going. I could see how grateful he was. But he couldn’t rely on them to develop players. They were glorified babysitters and the healthy numbers were not making good players. The academy was losing it's reputation. That's why he realised he needed to do something, called me in and we put a structured plan into place. As James realised, and you do too; planning allows you and coaches in other age groups create a production line of passionate players. I remember when I first sat down to come up with a structured coaching plan. My head was filled with buzzwords like 'pathways', 'integration' and 'skill sets' for hours. I had no experience putting something like this together. All I really wanted to do was get out in the sun and coach. Eventually I finished but the work had just begun. I knew I had to test the plan at every level to make sure it worked. I learned the process takes a huge amount of time. I had to build and test a structure that covered everyone from the 6 year old softball beginners to older boys starting to turn out in senior cricket. I can see you cringe, like I did, at the thought of sitting down and creating something. You end up following the example of one unnamed senior coach at a club I helped recently. This coach called his style ‘road coaching’ because he would decide what he was going to do in his car. On the road. On the way to the ground. Clearly, you recognise the last-minute nature of coaching and how things can get undirected. But if you are a normal human being, it’s obvious why players emerge under-coached and with lost potential. As you have already realised, you can stay calm about the other coaches too. Everybody knows they have a ready-made reference guide of exactly what to do. They know precisely where their players need to be when they move on to the next coach at the next age-group. Even with keen but under-qualified and under-experienced coaches, the coaching becomes a seamless pathway from total beginner to accomplished cricketer. And of course, your players are highly motivated because they are achieving challenging but realistic goals at every age level. That’s not to mention the amazing boost in results they will see when they come up against lesser-prepared opposition. When you buy the Coaching Plans you get exactly the plan you need. I have used my experience in developing and testing plans to take the pain away from you. The plan is a proven structured coaching pathway for every age group. All you have to do is download it. It’s instant access so you will be able to act on the advice today when you invest. The more you think about it, the more you realise Coaching Plans is a no-brainer: A huge time and stress saver. You don’t want to be without it. The plan includes: - A pre-prepared 12 week coaching plan for each age-group from under-8 to under-13. Easy-to-follow guidelines for all coaches in a club to follow. 22 Coaching games and drills that accelerate learning in a fun environment. A template to use for ClubMark coaching plan submission. I’m sure you are sitting there thinking of even more ways you use Coaching Plans to leave a lasting legacy at your academy, club or school. What price would you put on an effective coaching structure at your club that provides "three dimensional" cricketers spreading the word of your competence? What numbers can you put on a healthy acadmy that wins constantly? Even if you only consider the cost in developing and testing a plan in man hours it would run into way more than any single academy can afford. With Coaching Plans you can spend more time doing exactly what you got into coaching for: coaching. Earlier on I asked if you were prepared to put my advice into action if I could show you how to create high-class players. Since you are still reading, I’m going to assume you agreed. Well now I have shown you how Coaching Plans can deliver on that promise, it’s time for you to act. The details are all available for instant download to save even more time and hassle. To get instant access click the green "buy" button now to order via the secure server. Please note: this is an online course where the online eBooks and audio are available instantly online. There is no physical product to be delivered so you get instant unlimited access. 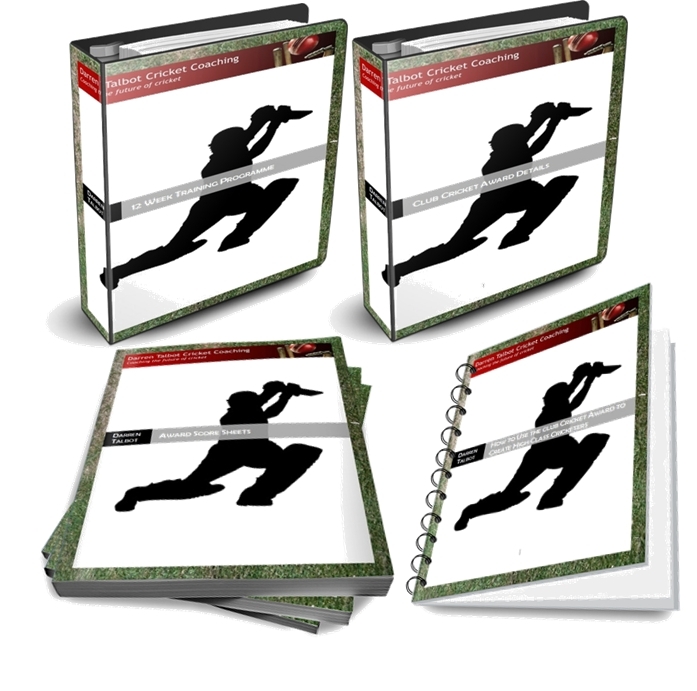 Download the Coaching Programme and start improving your planning instantly. Right click and "Save Target As..." to download the documents as a printable pdf file. Download this 12 week training programme for young cricketers from under-8 to under-13. The document also contains 22 different copaching games to keep the sessions fresh.